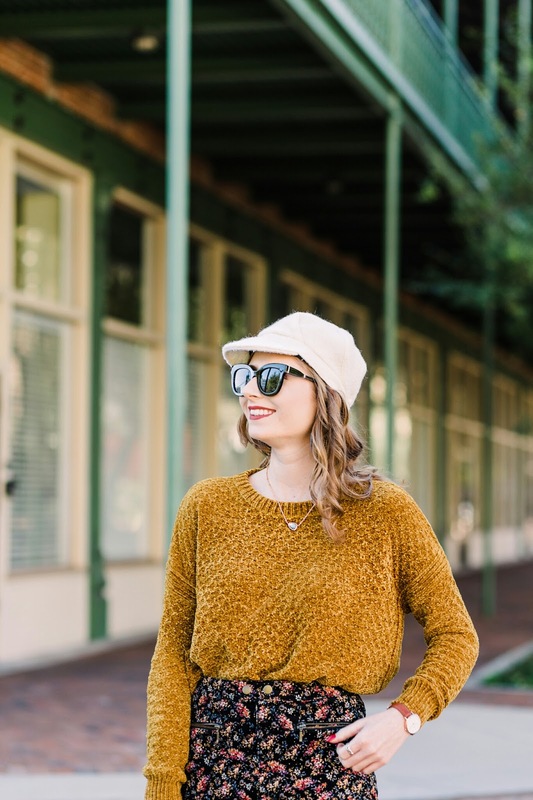 This MUSTARD SWEATER is such a great basic piece that is a steal at under $25. It's from Target, which is somewhere that you need to stop at to pick up affordable fall to winter items this season! The mustard yellow color is really adding a bit more life to my usual gray and black color scheme this time of year. Of course, I also have a new blush pink bag for that reason, too! They just released a new line called "A New Day" and this pullover sweater (also comes in purple!) is one of my favorite items. 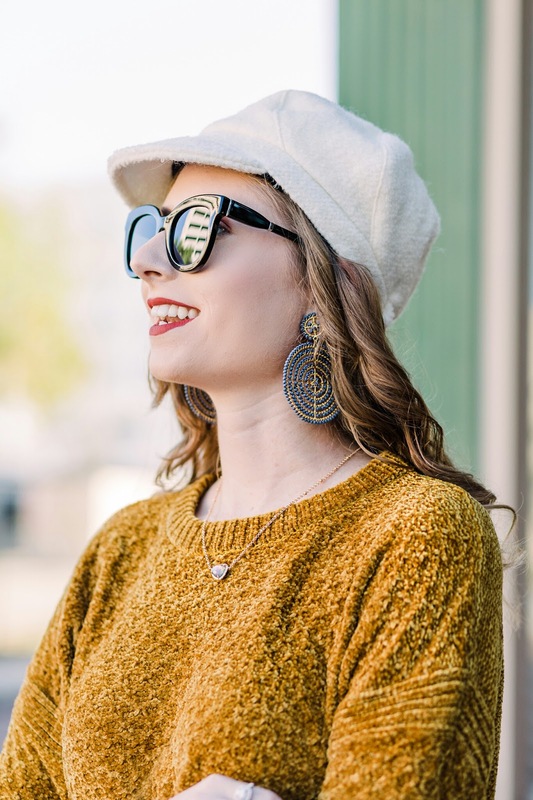 The soft chenille material is perfect for fall, even here in Florida right now for times when it can be cooler at night. The mustard color is also a nice color against the dark BLACK FLORAL SKIRT which I found at Target, too. The skirt is affordable at $20.00. For sizing reference: I have the skirt in a size 4 and the skirt has a few buttons on the front. Onto my favorite new shoes...these black studded booties from EXPRESS! Right now they are also on sale for $41 from $69! These booties not only look super edgy, but they are comfortable to wear all day long. I have the booties in a size 9. I recommend sizing down because I usually wear a 10 in shoes. 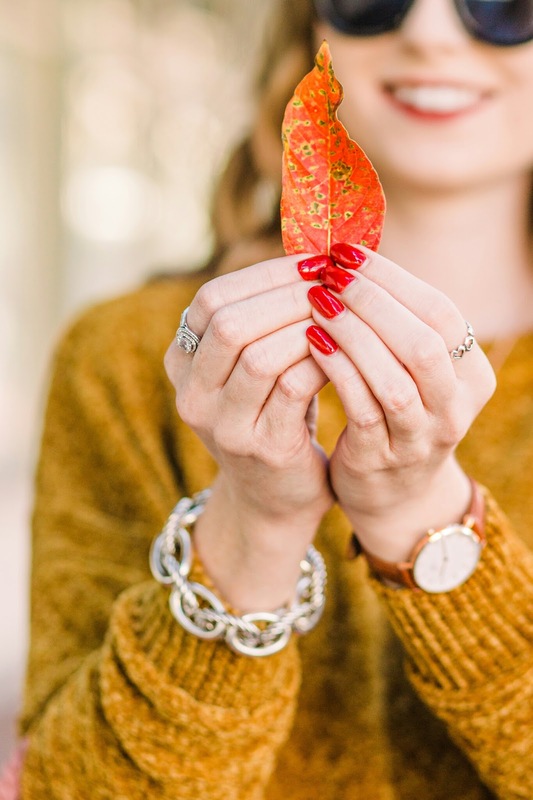 Thank you so much for reading today's post! I hope this outfit gives you some inspiration for your fall and winter collection.